We will do our best to respond to you within 48 hours. Why Buy From Us?. You can expect our service to be friendly and professional. So we wish for you to only to have a positive experience. Helpful Links. Can also be used as a dry shampoo to absorb excess oil and mattify greasy roots without any visible residue. Safe on color-treated hair. Use your fingers to massage the product onto your scalp for even distribution. 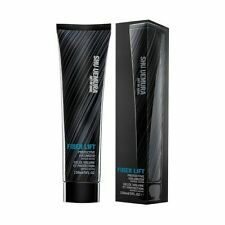 Shu Uemura Fiber Lift Protective Volumizer 5 oz / 150 mL. Protective Volumizer. Fiber Lift. Hair Care & Styling. Shaving & Hair Removal. Ideal for fine hair. We are a large Health & Beauty Distributor. Our aim is to get you the best products at the best price.